يقع منتجع باسيفيك برود في برود بيتش, جولد كوست, هو خيار شائع بين المسافرين. يمكن من هنا للضيوف الاستمتاع بسهولة الوصول إلى كل ما تقدمه هذه المدينة النابضة بالحياة. بالنسبة لمن يريد الخروج، هذه بعض المعالم السياحية المتوفرة للزوار اوسيس, Haan Health Medical Centre, Gold Coast Surf Academy. استمتع بالخدمات الراقية والضيافة التي لا مثيل لها بهذا الفندق في جولد كوست. هذه بعض الخدمات الموجودة في هذا الفندق: تخزين الأمتعة, واي فاي في المناطق العامة, صف السيارات, التوصيل من وإلى المطار, رعاية أطفال. بالإضافة لهذا,تتضمن كل غرف الضيوف مجموعة واسعة من وسائل الراحة . بعض الغرف توفر حتى مكيف هواء, تدفئة, شرفة/ تراس, ساعة منبه, تليفون لإرضاء أكثر الضيوف تطلباً. يمكنك طلب اللائحة الكاملة للخدمات في الفندق ومن بينها ساونا, مسار جولف - ضمن 3 كم, حمام سباحة خارجي, سبا, ملعب تنس. يحظى فندق منتجع باسيفيك برود بموقع ممتاز وخدمات يصعب منافستها. 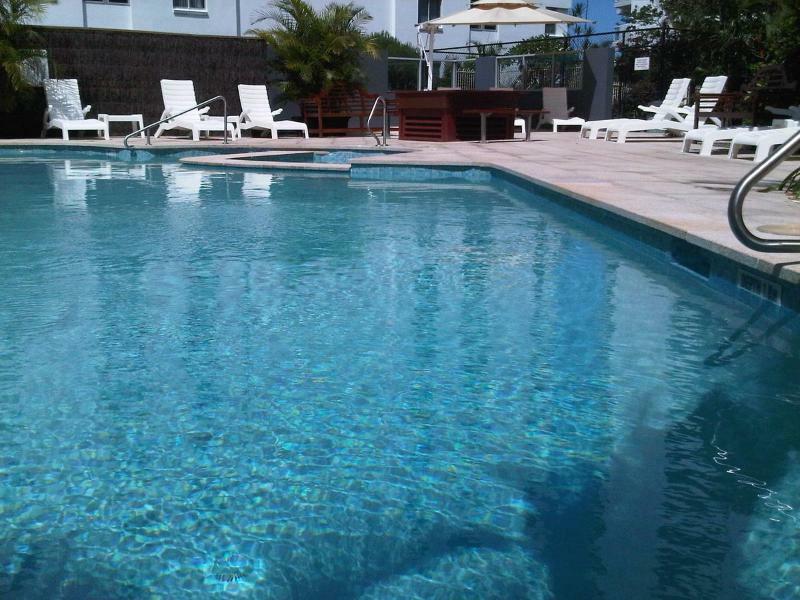 Fantastic location and the one bedroom apartment was spacious and clean with a beautiful view of the ocean.. The Management were so lovely - they added to our enjoyable stay. Would highly recommend and we will be booking here again. Fantastic in so many ways. My only recommendation would be for a softer bed or mattress topper. I would definitely stay there again. Good location just around the corner to Broadbeach Mall, easy walk to the casino too. Had a 2 bedroom unit, facing the street not the beach. Bit noisy late at night for the people in the front bedroom, with people walking past, due to the nightclub on the casino end of the street - back bedroom quiet though. Great kitchen with everything you could possibly need. Will stay here again. Terry & Sue were really nice people. Very nice apartment and great location. We were on the 16th floor with awesome views out to the Ocean and up to Surfers paradise and beyond. Apartment has everything you need - tidy kitchen, laundry and separate lounge to bedroom. pool and spa are adequate for a refreshing swim or soak. Location is fantastic with a walk to beach, Oasis shopping complex and pacific fair. Lots of nice places to eat, however if you want to cook woolworths is 5 mins walk if you want to purchase groceries. We really enjoyed out stay and would visit again. One thing to bear in mind is that in the weekends the reception closes at midday so if you have a late flight it can be a hassle as there is no where to leave your bags. We took an uber to the airport and left the bags in a locker.... it is then only a short 30 min walk to Coolengetta to hang out at the beach, cafes and shops. Great location close to everything. Great views. Pacific Fair and Draculars are walking distance away. Coles, Mac Donalds and small mall is 1 min walk. Fun parks are 30mins drive away. Staff were really friendly and helpful. Onsite parking. Lovely clean, well equipped unit, close to shops, restaurants, and patrolled beaches & parks. 3 balconies (2 with sea views), pool & spa, friendly staff. The only negatives were no dishwasher (if you were staying longer & not eating out) & the lift speaker announces the wrong floor (we were staying on the 3rd floor & it kept announcing 4th floor- a bit confusing at first). Definitely recommend. We were a bit skeptical as the price we paid was very cheap and a friend of ours who paid the same money elsewhere was very disappointed ! Well as soon as we opened the door it was bright fresh and more than adequate for our needs no it's not 5 star but great value for what we paid ! Great ocean views and central to everything perfect for a long weekend Who we return ? Definitely! A fantastic location with a surf break out the front and a heated spa and pool to warm up and relax in after an early morning winter surf! Awesome views, great spacious apartment and walking distance to restaurants and shops. Only negative would be a smallish ( double?) bed.. it would be fantastic to have a bigger one! Fabulous apartments. We stayed on the 6th floor, looking out to the beach. 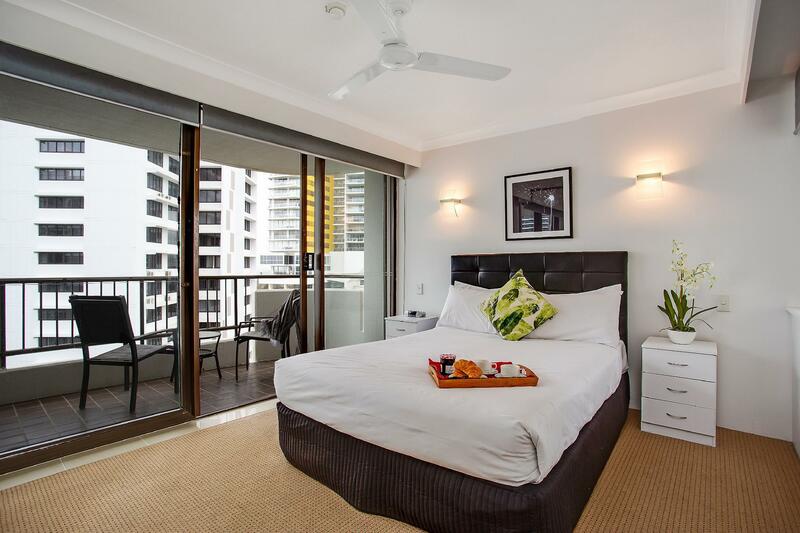 A very clean apartment that is simple for a stay on Broadbeach. AWESOME location. I believe the photos do not do it justice - The apartment, view and facilities are great! Fantastic location! 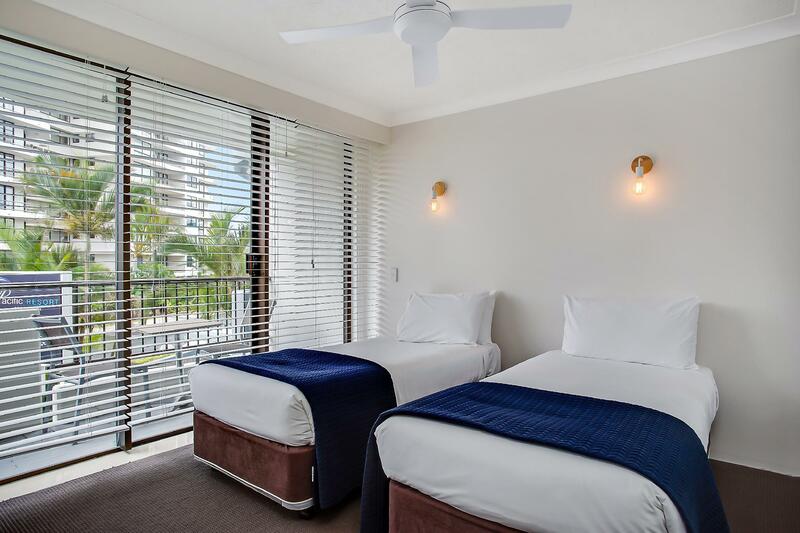 Walking distance to pretty much everything in Broadbeach including the beach, parks, restaurants and Woolworths at the Oasis Centre (everything except Pacific Fair shopping centre). Heated pool and BBQ area was perfect for family BBQ and catch ups. Room decor and furniture was slightly dated. But overall excellent value for money and a great spot for all visitors. Could not fault our stay at Broadbeach Pacific Resort. Staff very friendly. Arrived early so able to store bags till room available. Apartment amazing. Good view towards beach with lovely sunrises each morning. Breakfast on the balcony each morning in sunshine perfect way to start the day. Will definitely stay again on our next trip. A welcoming clean and comfortable apartment. It overlooked the pool but we could also see the park and sea beyond. I was a little concerned about security as we were only on the second floor and the locks seemed a bit wonky but we had no issues and all in all were happy with everything. We stayed 10 nights in this property. Our room was comfortable and met our needs, although could do with a face lift. 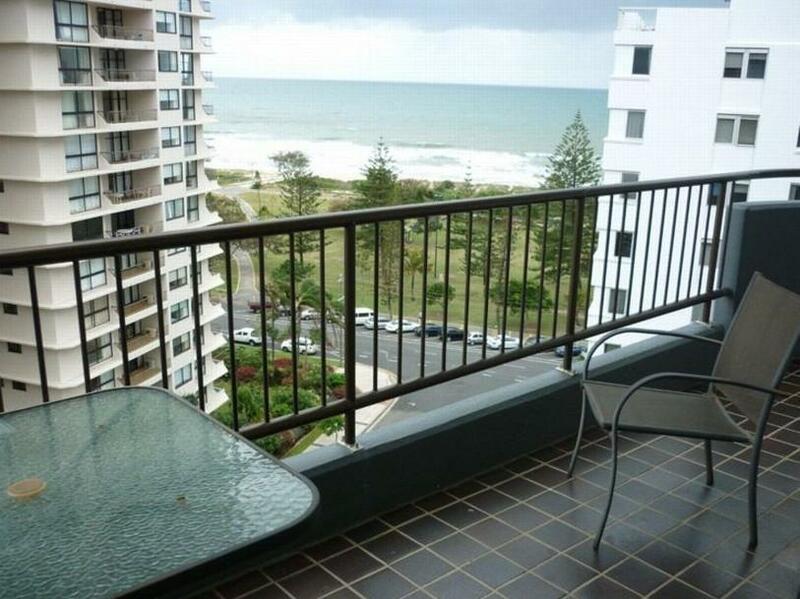 The location of this property is the most attractive aspect, and the views of the ocean from the balcony was lovely. The only complaint is that our mid stay clean was simply a change of linen only. We did not find this satisfactory and had expected that the bathroom surfaces, toilet and floors throughout would also be cleaned. With a family sharing one bathroom, it is not unreasonable to expect this level of service which unfortunately was not met. Despite this, we would stay in this property again, although for shorter stays. nice clean room. friendly and helpful staff. great location.. The stay was great. Rooms were clean and well furnished. Good kitchen with utensils supplued. Fabuloys location great for kidd and walks on the beach. Reception staff were great and super friendly . Would stay again. The best part about staying here is the location. Walking distance to everything, even the casino and draculas the restaurant. Woolworths in the next mall, and many many restaurants, you dont need to leave this area...its all there. Breakfasts all $9.90! Great value great food. Worst thing....the bottles in the morning...will wake you up they come pretty early to empty the dumpsters...every morning! Also the blinds are in need or repair as the sun comes through pretty early in summer. View from all balconies good, but it is just between two buildings. Probably would stay there again. Value for money considering you are only one building away from the beach and walking distance to everything.